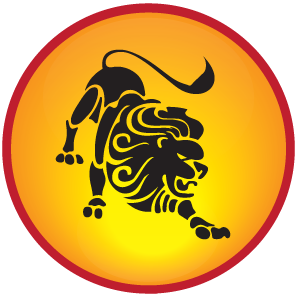 Leo horoscope for 2012 – the year promises Leo natives a good name and fame with divine support and luck. Good professional improvement and support of higher authority is also foreseen for the natives throughout the year. Struggles, contempt and obstacles faced all these days will vanish and your name and fame will be as high as a kite. Your own efforts will get you whatever you desire. Happy and cheerful moments on behalf of some auspicious functions at home and in family are foreseen. Leo natives will enjoy the full support of their siblings, neighbors, teachers and elders throughout the year. Change of place between May and August are likely, which may bring good luck and fortune. More mental peace and domestic happiness is foreseen for Leos in 2012. Short trips are in the offing. Children may get diverted from their studies; keep a close watch on them. One of your children may take a break from his or her studies and may join your business or profession. Please Note: The Leo Horoscope for 2012 given here are common for the natives of Leo and may differ according to an individual’s birth date and time. For a simplified, accurate & customized 2012 horoscope prediction, get your personalized 2012 yearly horoscope prediction report now. Leo Horoscope for 2012 specifies that the natives will be in best of their health this year. Regular exercise, proper diet and spiritual pursuits will keep you in good health. However, hectic wandering and travel may drain the energy level; consuming more fruits will help you keep fit. People ailing from previous ailments will recover in 2012. Leo Horoscope for 2012 shows that monetary aspects will be promising till the end of 2012. After the month of May, there will be some backlog in financial flow; although not much of fiscal strain will be experienced. The natives will maintain the momentum generally for the entire year. Investing opportunities will be attractive for the natives. Gain from speculation is also promised during this year. Gain from profession, mother, spouse, father and foreigners are also on cards; however, expenses on behalf of auspicious events, luxurious garments, taxes, etc are also possible. Litigation and other disputes will be more favorable for the natives before May 2012. Leo Horoscope for 2012 indicates a favorable year for the natives. Be an extrovert to enjoy the affair of the heart. Your narcissism will always prevent you from having a real relationship. Short trip with your wife on a holiday is on the cards during the month of May and June. Natives aspiring for child will be blessed during this year. January, February, March, April, May, June, October, November and December. Let this New Year bless you with prosperity and peace in abundance.